Not happy with the way your pond looks? At AAM, we have developed a special passion for controlling weeds. After all, we have been honing our skills for over 30 years. Hydrilla, water hyacinth, water lettuce, you name it -- we control it so you won’t see it. 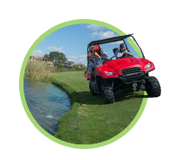 And while you may not be as zealous about the science of controlling weeds with environmentally safe methods, you can certainly enjoy the serene benefit offered by clean blue water lines - even when they snag a few of your golf balls. 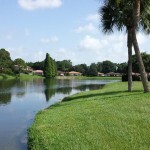 For over thirty years, Applied Aquatic Management has been providing innovative and effective water management services, selective vegetation control, wetland management and exotic weed control throughout the state of Florida. 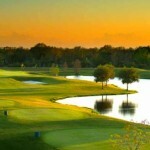 by Jerry C. Renney, Jr.
We pride ourselves in producing outstanding results for our clients. Here are a few stories we think you'll enjoy.